The parameter in this indicator, only one is: «TF» ; it provides an opportunity to put the time-frame, fractals which a trader wants to see the current time period. The default is zero, which means that the display will show all fractals only this time-frame's. Last edited by Tsar; 07-19-2015 at 07:16 AM. newdigital, chartartist and Eris like this. An indicator that alerts and draws a horizontal line to mark whenever a fractal is engulfed by a Candle close before another fractal prints in the same direction. FractalDimension_TR_v1.0 600+ indicator is on this post. This indicator was coded according to Stocks & Commodities V. 35:11 (18–21, 45): Estimating The Fractal Dimension Of Stock Prices by Mike B. Siroky, MD. 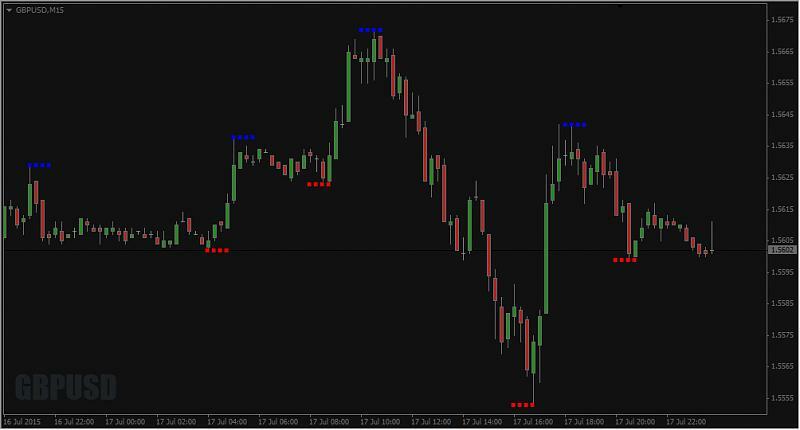 How to use this indicator - read this post. The article related to this indicator - this post. 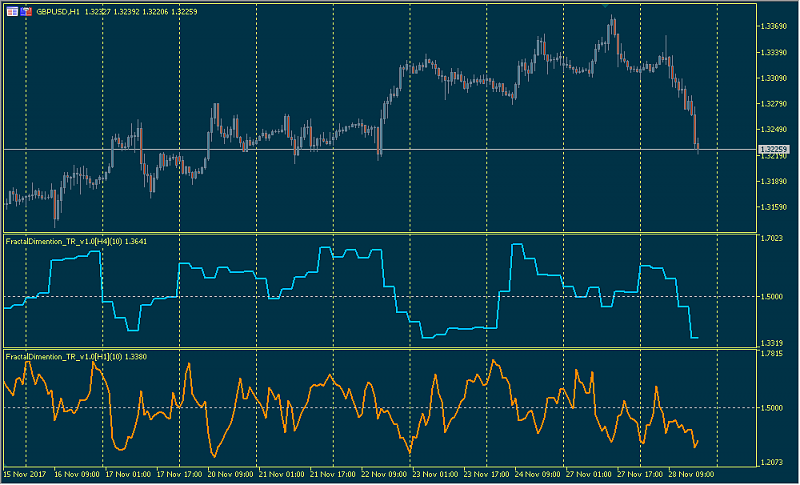 FractalDimention_TR_v1.0 indicator for MT5 is on this post. This indicator was coded according to Stocks & Commodities V. 35:11 (18–21, 45): Estimating The Fractal Dimension Of Stock Prices by Mike B. Siroky, MD. 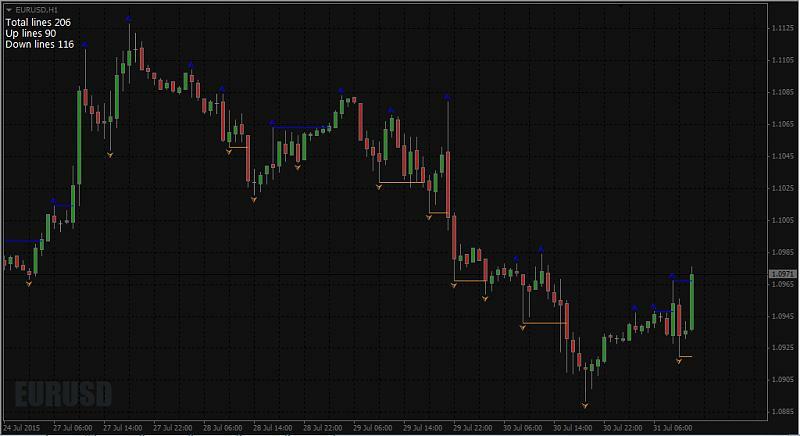 How to use this indicator - read this post. The article related - this post. The main rule of using of the FractalDimension indicator is: If the value is lower 1.5 then the market is in trending mode, in other case in cycling mode.